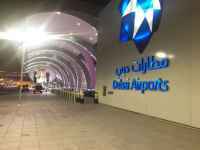 City One Tourism could arrange a meet and greet of clients from the various Airports in Dubai and the U.A.E (Abu Dhabi, Sharjah, Ras Al Khaimah, Fujeirah ) . The guests will be assisted with reaching their required hotel / any location within the U.A.E that they may wish to reach. The guests can also contact our reservations team once in Dubai to request assistance with finding a hotel suited to their requirements. To ensure that minimum inconvenience is caused to our valued guests, we request that the itinerary is provided to us 48 hours prior to arrival. We understand that everything cannot be planned well in advance and we would do our best to accommodate any last minute bookings received. Our highly trained, efficient and experienced staff will receive the guests to ensure that the guests feel comfortable and safe. Our operations team can be contact here. With our prompt reservations team, City One Tourism can provide you with a range of hotels that suit your requirement. Be it Budget Travel or Family Travel or a Luxury vacation, our team will be able to assist you with the hotel reservations that suit your needs. Our reservations department can be contacted here. Along with the hotels our team will also be glad to assist you with preparing a tailor made itinerary to include Excursions, Airport Transfers, Chauffer Driven Vehicle Services and lots more. City One’s fleet and team of highly knowledgeable chauffeurs enable us to provide guests with transportation services to all Emirates of the U.A.E. The chauffeurs would be able to assist also with the places of interest in all the emirates. We understand the value of time and do our best to ensure that all transportation is planned keeping in mind the arrangements that the guests have to attend to. Tailor made transportation is usually charged on a per hour basis making it very convenient for the guests in comparison to hiring a taxi at each location they plan to stop. Our operations team can be contact here. City One Tourism can also assist clients with their requirements that may be classified under MICE. Locating appropriate areas or hotels or facilities for events, meetings or conferences to be held, arrangements for incentive excursions or parties, can all be found under one roof. Our well trained and experienced staff will help you organize and assist will all the aspects of the events. City One can guide and assist clients from planning stages to successfully completing the event and making it a memorable experience for all the participants. Our MICE department would be more than glad to assist you with fulfilling your requirements. City One Tourism’s forte is handling groups and FIT requirements inbound Dubai. City One provides a high level of attention with the comfort of tailor made itineraries for all our guests. From our trained and welcoming tour guides to our friendly chauffeurs, to the adventurous and family excursions, all here to make your trip unforgettable. We can also tailor make the itineraries to include meals of a cuisine that is suitable for the arriving guests. To get to our planning team please click Here. Travel agents and corporate are more than welcome to let us know of any requirements that they may have. Our agent division can be contacted here. City One assures all of its clients of high service standards backed by our fleet of new well kept vehicles. Trained chauffeurs and experienced tour guides are our strength. Ensuring that each of our clients feels we lived up to our slogan of “Making Holidays Unforgettable”. All of City One’s desert safari experts undergo intensive training for the maneuvers they undertake on the dunes of the unforgiving desert. Alongside that all of our desert vehicles are fitted with GPS locators to ensure that our guests are always safe. Our entire fleet is fully insured to ensure that our guests are always safe with us. Our various excursions can be discovered here. You could make online bookings to ensure that we reserve a seat for you. Agents and Corporates are welcome to take advantage of our excellent services and can contact our corporate team here.